This adidas Yeezy Boost 350 V2 is known as the “Semi Frozen Yellow” edition. They come in a semi frozen yellow, raw steel and red colorway. Sporting a yellow-based Primeknit upper with a Zebra-like graphic throughout. Red “SPLY-350” branding on the stripe on the sides as well as the stitching on the back heel tab are finished off by a gum sole. This marks the first time a gum sole has been used on the Yeezy Boost 350 silhouette. Their release date was November 18th, 2017 where they were available at select adidas Originals retailers worldwide. Retailing for the usual $220, they came in men’s sizes. 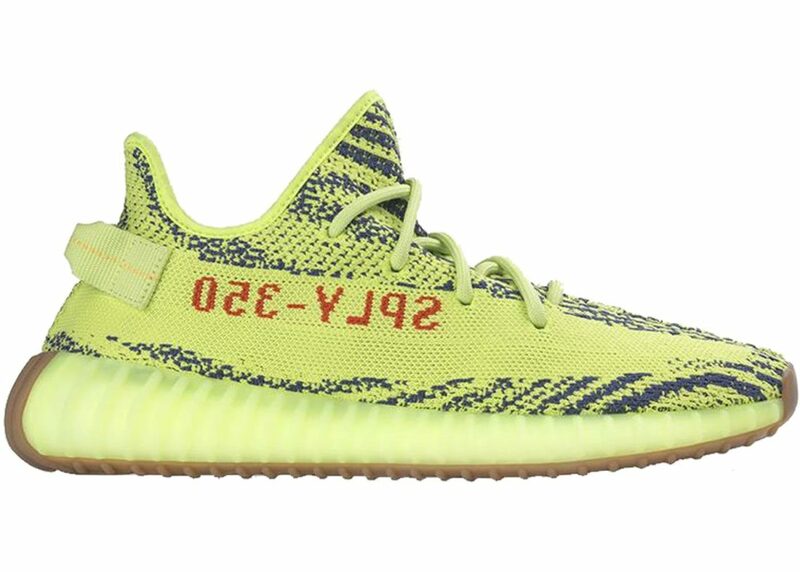 If you’re a Kanye fan, this “Semi Frozen Yellow” adidas Yeezy Boost 350 V2 is another must-have. Those looking for a pair of Yeezy Frozen Yellows, look no further. You can buy them online today. Got a pair to sell? List them up on the marketplace now.